As 4th of July weather was party hosts' worst nightmare where we are, we pushed back the party one day and wow, what a great decision. What a beautiful weather and fortunately a lot of our friends could still make it despite the last minute change of the date. Thanks everyone who came and made the party so much fun! 1. 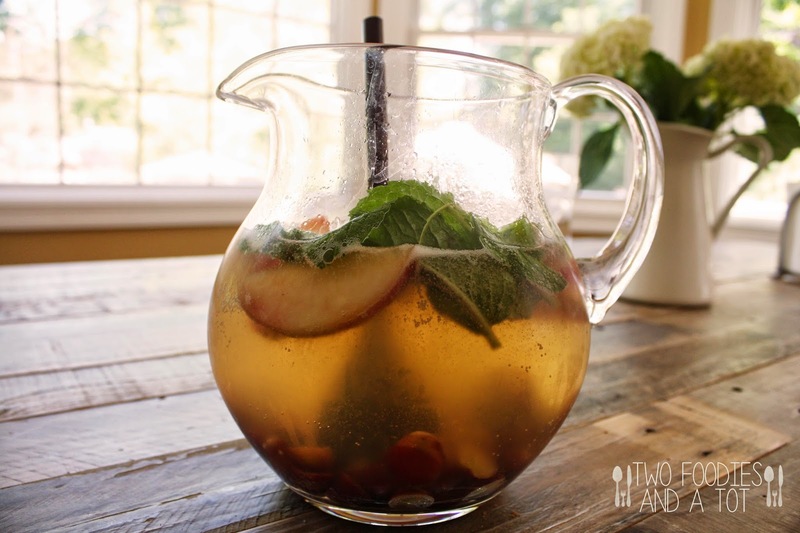 In a pitcher, add mint, peach, half of grapes and moscato. Let it sit in the fridge for at least 2 hours or over night. 2. While it's chilling, freeze rest of the sliced grapes for extra chill when you serve. 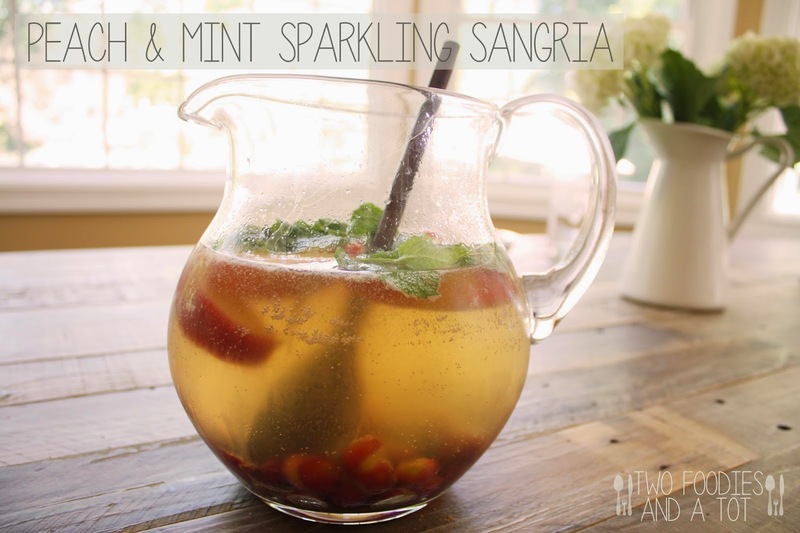 Add frozen grapes and prosecco right before serving. *I use the "take out container cover method" when slicing large quantity of grapes. Put one cover right side, fill it up with grapes, cover it with another cover upside down, run a knife through in between covers while holding the top down, you'll be left with perfectly sliced grapes in no time!